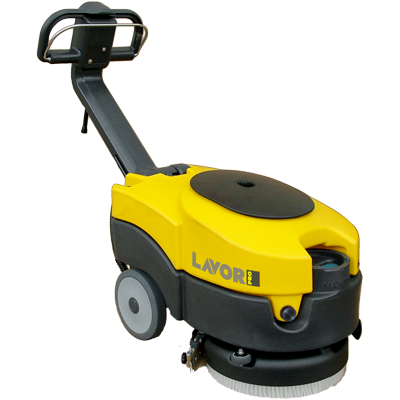 If you are shopping for a brush floor scrubber to keep the floors of your warehouse clean, look to Lavorwash for a solution you can trust. With a variety of models and more than 20 years of experience in the industry, we consistently provide our buyers with the best floor cleaning solutions on the market. Despite our longevity and the top-tier performance of our products, though, we have never gouged our prices. As a result, you can find terrific warehouse scrubbers from Lavorwash for affordable prices that beat most of our competitors. Especially if you need to buy multiple cleaning machines for your building, the savings inherent in our prices will really add up. One of the first questions to ask before you start shopping for a brush floor scrubber is what type of power source you prefer. An electric floor scrubber will draw its power from your building via a plug, while a battery-powered scrubber relies on an onboard power pack. Both power sources have their pros and cons for floor scrubbers, leaving you to decide which option is better for your situation. Electric floor scrubbers tend to be considered ‘entry level,’ which means that they are usually the most affordable options on the market. Couple the affordability of these devices with our terrific prices at Lavorwash, and you can get your hands on some pretty stellar cleaning equipment by going the electric route. Electric scrubbers also have an unlimited supply of power, so long as you stay within range of a plug. As such, your technicians will be able to continue cleaning until the work is done, instead of stopping to wait for a battery to recharge. That point provides the perfect segue into battery powered warehouse scrubbers. 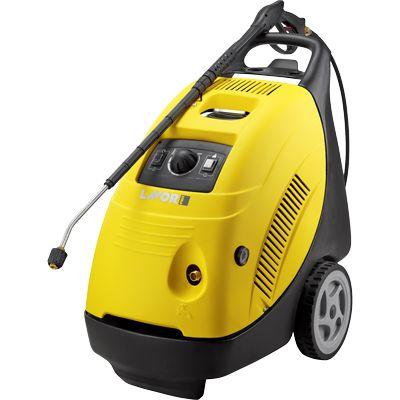 At Lavorwash, our battery scrubbers can go for 2.5-4.5 hours on a single charge, depending on the model. In most cases, that kind of working autonomy is significant to clean a space thoroughly. However, for particularly large warehouses, a battery unit might not be able to get the job done without recharging the battery. Of course, electric scrubbers also have a few drawbacks. If you are working in a large warehouse, the limitless power potential of an electric floor scrubber is probably attractive. However, you will still need to figure out the logistics of where the cord gets plugged in and whether you need extension cords. Cables can also create tripping hazards or get in the way during the cleaning process. Considering the pros and cons discussed above should help you choose the right brush floor scrubber for your warehouse. 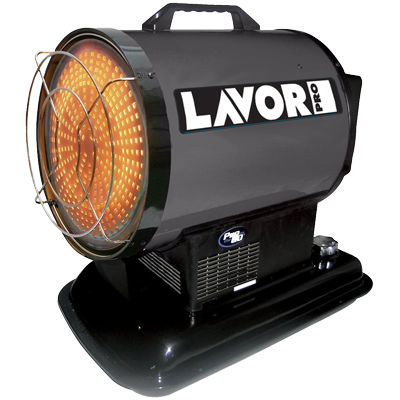 At Lavorwash, you can trust that you are getting a reliable and high-quality product either way. If you want to learn more about our scrubbers or the various perks of different models and features, feel free to get in touch.